Government agencies issuing notices under section 313(3) of the Telecommunications Act 1997 asking Internet services providers to block websites does not constitute "a policy of broad-based internet filtering", the Department of Communications has argued. "[T]he disruption of access to online services under section 313 to date has been a targeted response to specific instances of illegal services," the department said in a submission (PDF) to the inquiry examining the issue. "The types of services that can be targeted are restricted by section 313(3) of the legislation, and disruption of access is typically only requested where an agency considers there is a strong public or national interest to do so." Between 2011 and 2013, only 32 requests asking ISPs to block their customers' access to websites were issued by government agencies, the department said. Twenty one of the requests were from the Australian Federal Police and related to INTERPOL's 'worst of' list of domains associated with child exploitation material. One request was issued by "an agency in the Attorney-General’s portfolio to disrupt access to services on counter terrorism grounds" and 10 requests were issued by the Australian Securities and Investments Commission. "The Department has not been made aware of any further government agency use of the provisions to disrupt access to online services, but notes that agencies are under no obligation to report such use," the submission states. It was ASIC's use of the notice scheme that triggered the current parliamentary inquiry. In 2013 the corporate watchdog issued a request to a number of ISPs to block access to three IP addresses used by websites involved in investment scams. As a result, access to thousands of unrelated websites was cut off for Australians who were customers of the ISPs that implemented ASIC's request. The department has rejected calls from telecommunications industry to restrict the type of government agencies authorised to issue Section 313 notices. It also rejected the use of court orders as an alternative to the current system, as well as restrictions on agencies' self-authorising the issuing of Section 313 notices. However, it did outlined potential steps that could make more transparent government agencies' use of section 313(3) notices. The current inquiry should consider whole-of-government principles regarding the use of the legislation. These principles should include that agencies develop internal "services disruption procedures". In most cases these procedures should be made public. The department proposed that agencies receive one-off approval of their agency head or in some cases the relevant minister before using Section 313 notices. That approval would include what level of officer could sign-off on the use of the legislation. Unless there are good reasons not to, such as ongoing investigations, agencies should publicly announce website blocking requests, the department said. 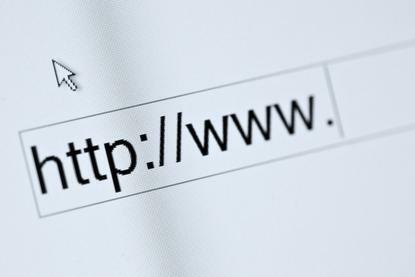 Government agencies should provide ISPs with generic 'stop' pages indicating why a page is blocked and how to seek a review of the decision to block it. There would be cases where use of such pages would not be appropriate; for example, if there is "the potential for operational activities to be jeopardised". The department also proposed that agencies establish internal review processes. "In the event that informal approaches [from people who want a website block removed] do not produce an outcome satisfactory to a complainant, it is possible that the complainant could seek a declaration from a court that the disruption is unlawful, and an injunction requiring the service to be reinstated," the submission sates. "The Administrative Decisions (Judicial Review) Act 1977 is one avenue of external appeal. Another option may be to lodge a complaint with the Commonwealth or State Ombudsman." The use of Section 313 to block websites could be reported to the Australian Communications and Media Authority or an in camera hearing of parliamentary committee. "An agency-led process for disrupting access to online services, with the availability of appropriate review mechanisms, is preferred by the Department to an approach which begins with a judicial process," the submission states. "The latter can often be a lengthy and costly process, and websites and hosting locations can shift and change rapidly during this time. In addition, the continued availability of the services during this period can have serious ramifications. A good example of this is websites involved in the perpetration of illegal investment scams and frauds, which may affect many people and have serious financial consequences if they remain active for even a short period of time. The agency-led process will be contestable under existing and proposed review arrangements."